Home » Food and Nutrition » Are These Trending Dairy Milk Alternatives Worth the Hype? Digesting lactose is no easy feat for many people. I often experience discomfort after a slice of cheesy pizza, cup of yogurt, or anything else that has some dairy in it. I haven’t had a glass of milk in at least 10 years. And I’m not alone. After infancy, roughly 65% of the global population has some degree of difficulty digesting lactose. As a baby, your mother’s milk was likely the primary source of your nutrition. Once you were weaned off it, lactose becomes difficult to digest. The reason this happens is likely that you’re drinking milk that comes from other sources, mainly cows. Humans are the only species that drink milk from other species, which is likely why people have such a hard time digesting it. There is something unnatural about it, and our stomachs really aren’t equipped to handle it without experiencing some trouble. There are some nutritional benefits to drinking cow’s milk, with it being a healthy source of calcium, protein, and fat—but there are a number of other sources from which we can get this stuff. Like I said, I haven’t had a glass of milk in more than 10 years and I’m doing just fine. But for those of you who want to keep milk in your diet but could do without the discomfort of dairy, there are a number of plant-based alternatives. Many of these alternatives aren’t yet available in your average corner store or grocery chain here in the United States, but they are gaining immense popularity in places like Great Britain, Italy, Spain, and Switzerland. I’d expect them to reach the U.S. before long, competing for shelf space with other non-dairy options, like soy, almond, or coconut milk. From what I’ve seen, these plant-based milks offer little in the way of nutrition. They tend to be very low in protein and don’t have the same calcium content as other milks. They are very low in calories, which is a plus, but that’s ultimately because there is little nutrition to them. There are also sweetened versions that are higher in calories, but the calories are coming from added sugars that you want to avoid. Some of the more popular plant-based milk selections gaining popularity in Europe are millet, quinoa, buckwheat, barley, and spelt. I’ve never tasted any of these selections, but have read that they do taste somewhat like the source they come from. Therefore, I can guess that there must be a nutty flavor to the millet and quinoa milk, which might make them rather enjoyable. As far as your health goes, yes, these low-calorie milk alternatives are a way to cut calories and avoid lactose—which is especially good for those with severe lactose intolerance. But even though they each offer an array of vitamins and minerals that can help boost overall health, if you’re already eating a healthy, balanced diet, you should already be getting all you need of these vitamins and minerals. At the end of the day, if you are vegan, have a lactose intolerance, or simply like the taste and want to drink an unsweetened plant-based milk or use it in cooking, go ahead. There is no risk and it might make your food a little easier to digest! 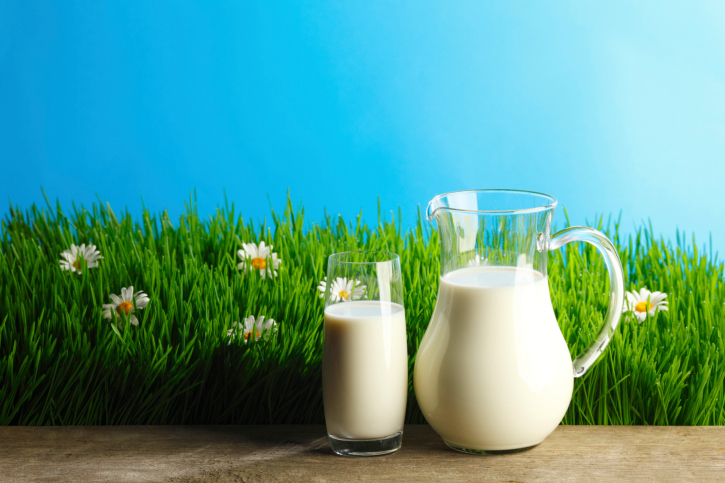 “Lactose Intolerance,” U.S. National Library of Medicine web site, August 4, 2014; http://ghr.nlm.nih.gov/condition/lactose-intolerance. Taylor, M., “8 Dairy-Free Milks You’ve Never Heard Of,” Shape web site, August 4, 2014; http://www.shape.com/healthy-eating/healthy-drinks/8-dairy-free-milks-youve-never-heard.